I made Shredded Mesquite Chicken Nachos last night. With black beans, pickled jalapeños, monterey jack cheese, cheddar and mozzarella, sprinkled with green onions, guacamole and sour cream. Mmmmmm. 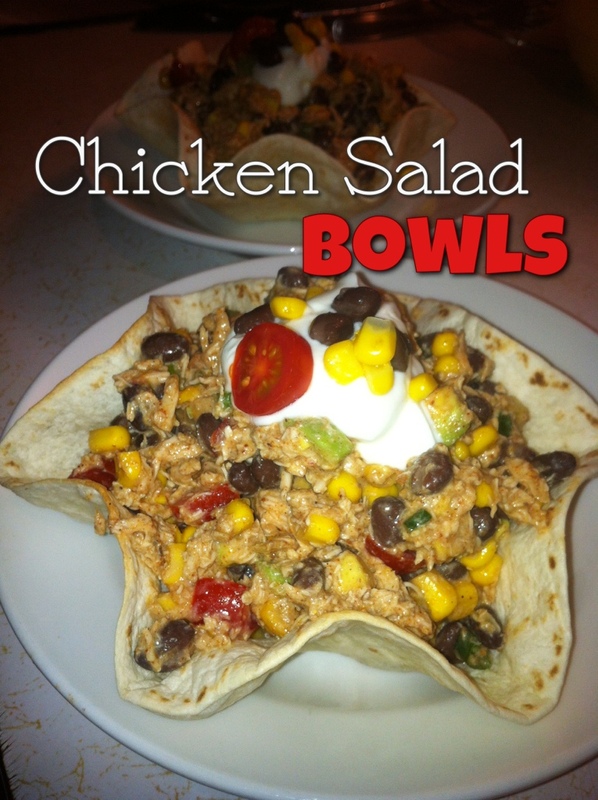 I had some chicken left over so for lunch today, I whipped us up some Chipotle Chicken Salad Bowls! The mesquite in the chicken was masked by the chipotle so no worries there. They were delicious and nothing was wasted. Especially those nachos last night. The boys ate them up rather fast.